I am so late to the party with this one. I'm sure you've all read multiple posts on how amazing this tiny little hairbrush is. Well here's another one to add to the pile. 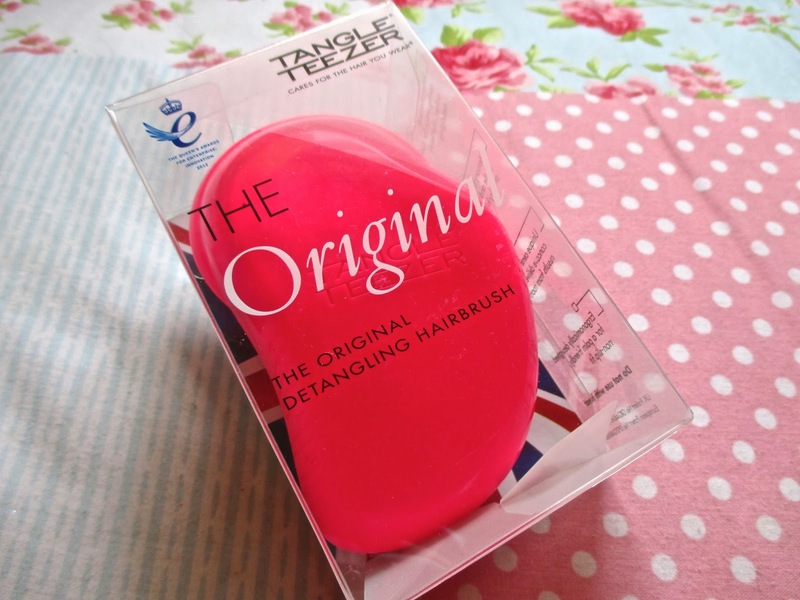 I am obsessed with the tangle teezer and I really regret not buying it before. My friend Ellie (who has recently started her own amazing fitness blog here) was raving about it one day and I decided I needed it. I have quite long hair. It comes pass my shoulders and is a nightmare to keep tangle free. It's even worse to comb when it's been just washed. I had previously been using a large paddle brush which did nothing but tear my hair out. The brush itself fits perfectly into the palm of your hand. I contribute the lack of a handle to how gentle it is to your hair. The lack of a handle means you have more control over how you're brushing your hair. I know that seems like such a silly thing to say but for me I find that when I'm using a regular brush I think about the process less and I'm more likely to just pull the brush through my hair. With the tangle teezer you're more aware of the process and the knots you're pulling through and I find that I'm more gentle when it comes to brushing. Typically when I brush my hair I work from the ends of my hair back up to the root. Brushing from the bottom back to the top causes less of a strain on the strand of hair because you're pulling those knots out slowly, rather than adding more hair to the knot if you were to comb straight from the root. I find I have less breakage when I do this. 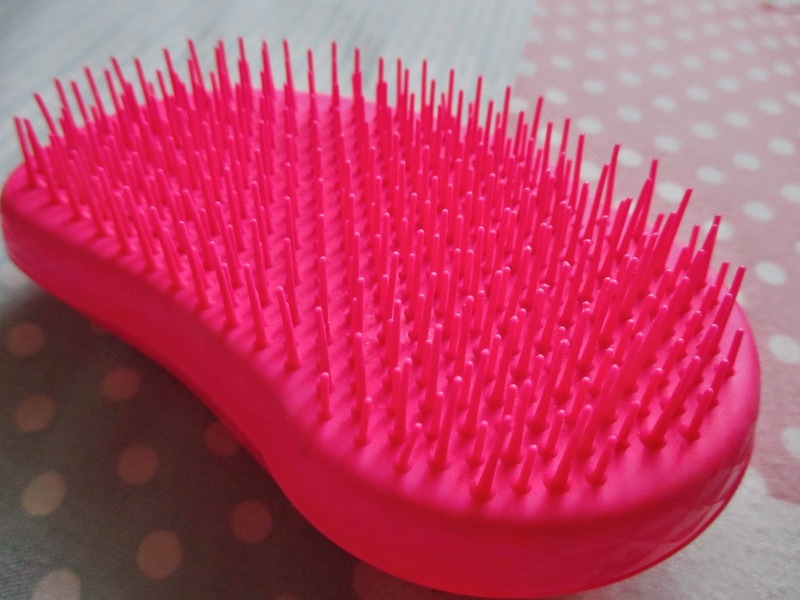 My favourite thing about the tangle teezer has to be the bristles. The bristles are one complete point with no plastic bulb on the end like the average hairbrush and I really like this as I feel sometimes your hair can get caught in these little bulbs and damage the strand of hair. With the tangle teezer there is none of this. Not to forget the amazing range of colors these come in. I picked up a hot pink one in Boots but there was so many to choose from. I was really spoiled for choice. 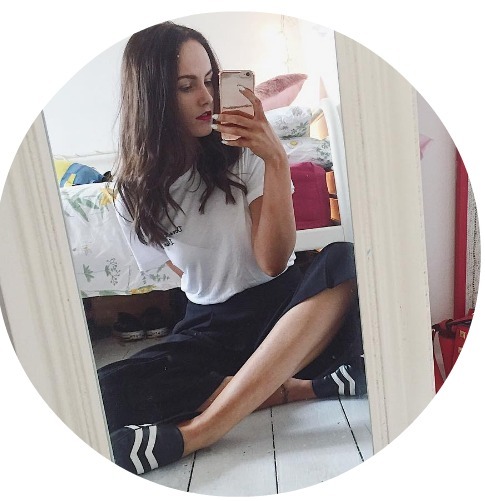 I just can't get enough of this little tangle teezer and I recommend that if you have long, unruly, thick hair like I do then you should run out and buy this. Like now. Keep meaning to pick up one of these!! My hair is so knotty lately.